In order for any business to grow, new reliable and successful employees have to be added. But shockingly, recent studies have shown that nearly one-third of new hires quit their job within the first 6 months! Retaining long term and effective employees is essential for every business, but how do you help employees feel welcomed, engaged, and appreciated? It starts with supporting and empowering employees from day one. In fact, 53% of HR professionals reported an increase in positive employee engagement when onboarding activity is improved. Here are 5 surefire ways to improve your employee’s onboarding experience. Starting a new job is always a bit of an intimidating experience. You’re suddenly introduced to a new environment, a new culture, and a new set of standards and guidelines. Establishing a welcoming and accepting culture beforehand will make this transition much smoother. While assigning a temporary lunch buddy or new employee mentor for the first few days is never a bad idea, organic and natural inclusion can only come from genuine office culture. Take an honest look at your team or work environment and consider what you can do to create an inviting culture. Team welcome activities with new employees are a great place to start. When a new member joins your team, it’s easy to organize an informal gathering where everyone can get to know each other better away from the typical work environment. When done right, team introduction activities help establish work culture standards for both new hire and existing employees. A new employee has a lot to learn in a relatively short period of time. From incorporating unique business practices to understanding specific product and customer information, it’s impossible to remember everything right away. It’s completely natural and expected for new employees to need reminders and make mistakes as they start out. This transitional period is the perfect opportunity to demonstrate an encouraging and supportive environment. By advocating a judgment-free open door policy between managers and other company leaders, new employees can comfortably ask questions and easily refresh the important information that they need. Such policies should always be genuine and allow employees to confidently grow in their new position by openly seeking guidance and direction in areas they need. Inclusive and friendly open door policies also improve overall company transparency levels, helping both new and established employees feel motivated, trusted, and valued. Most companies only use technology during onboarding as a tool for conducting presentations, but it has so much more to offer! Some of today’s best organizations successfully incorporate their workforce with employee friendly technology. Tools like MangoApps help companies set up social media-inspired intranets to foster learning experiences and nurture collaboration. New hires receive access to these interactive communities from day one, making it easy to discover more about their roles and responsibilities, make friends with similar interests, and much more. In fact, in some organizations, technology allows the onboarding journey to begin well before employees even enter the office. Companies can use such platforms to introduce new employees to their future teams, provide learning materials, introduce information policies, and much more. Whenever you acquire a new customer, you naturally assume that he or she will be interested in learning more about your organization and how you can best work together to accomplish specific needs. Acquiring a new employee is a similar process. While an employee may not directly invest money into your business as customers do, employees are willing to invest their time, talents, and energy each and every day. It’s only natural to provide employees in turn with transparency in the workforce. Employees should never need to wonder about how their work is contributing to company success, what benefits and support systems they are entitled to, or even how they can work with your organization to further career efforts and accomplish individual goals. Just like company customers, your employee’s investment in the organization should be appreciated right from the start. Successful completing employee onboarding requires employers to evaluate and reflect on the process. Employers need to collect honest feedback from all of their new employees as well as consider the onboarding process from their own experience. Continually adapting, assessing, and improving your process is the key to long-lasting employee success. What worked well for one group of employees or at one point in time isn’t necessarily the best policy for every onboarding experience. Seek out genuine feedback from new hires and be willing to adapt as needed. Implementing changes based on employee experiences not only improve your future onboarding activities but also demonstrates to recent new hires that you take their opinions seriously and are eager to embrace their thoughts and ideas. Onboarding new employees should be an overarching company and team experience rather than a process for the HR department to take on alone. When employees are wholly embraced, accepted, and supported by their new work environment, companies see engaged employees working together to achieve long-lasting success. 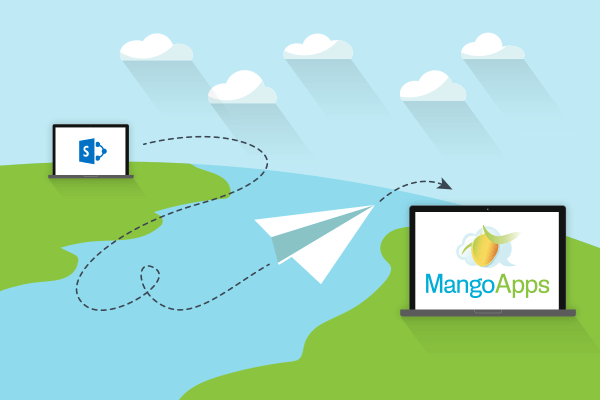 Contact us today to learn more about creating effective onboaring experiences or how MangoApps helps companies improve their overall collaboration, communication and company success.